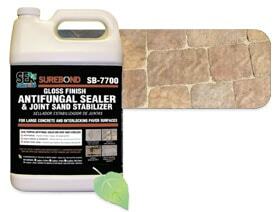 Joint sand stabilizing sealers perform two tasks at once. The sealer stabilizes the sand in the joints to prevent sand loss and to help retard weed growth. 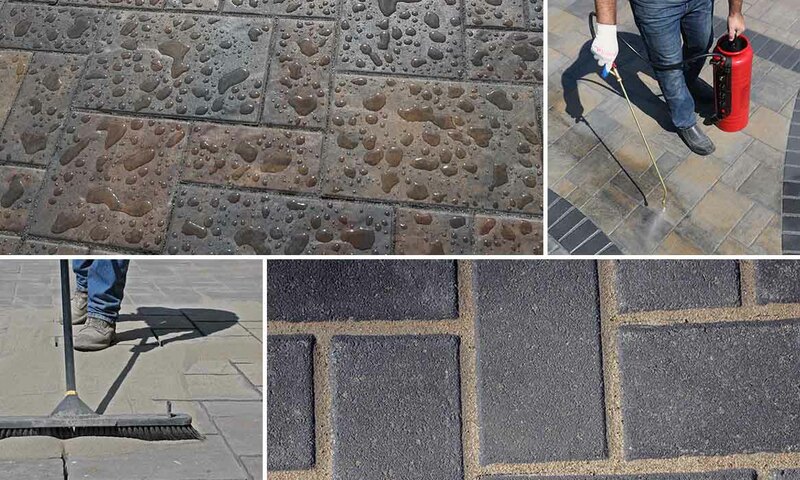 Sealers also provide the pavement with an even coverage of protection to seal the pavers making cleaning of any stains quick and easy. Depending on the application you can expect 3-5 years for patios and walkways from just one application and 2-3 years for driveways. 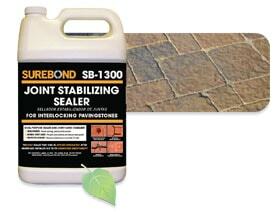 SB1300 is a dual purpose “Matte Finish” joint stabilizing sealer. 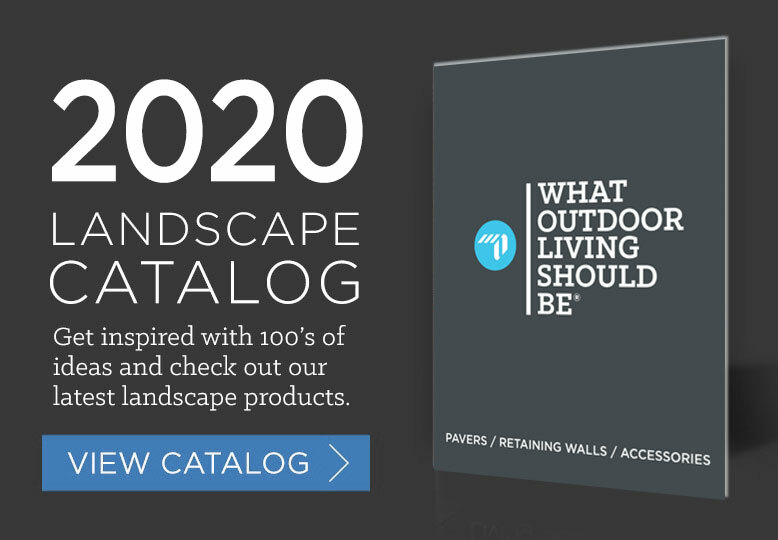 Ideal for patio’s, walkways and driveways. Can be used for both residential and commercial applications. 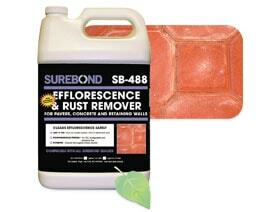 Apply liberally with a sprayer and squeegee excess material into sand joints. 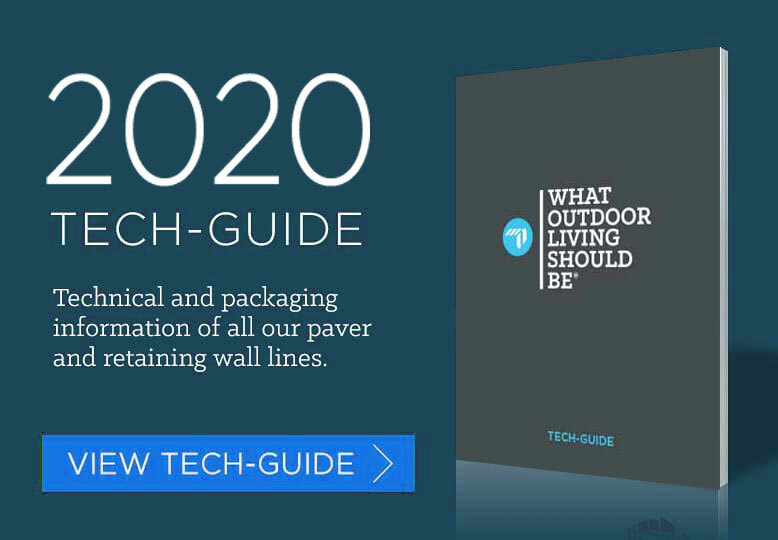 SB7700 Ideal for patio’s walkways and driveways. Can be used for both residential and commercial applications. Apply liberally with a sprayer and squeegee excess material into sand joints. 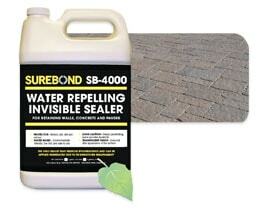 Prevents water penetration and provides an invisible finish on concrete, pavers and walls. Can be used for both residential and commercial applications. Apply with a low pressure sprayer and backroll. Second coat may be desired on newer or more porous substrates. 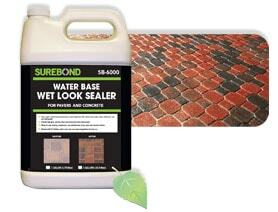 Seals and enhances the beauty of new and old pavers, concrete and other masonry surfaces. This product gives you the “Wet Look”. Pavers must be cleaned first and allowed to thoroughly dry before sealing. Can be used for both residential and commercial applications. SB9000 is designed for a two-coat application. Apply with a sprayer and backroll to assure even coverage. Second coat should be applied as soon as the first coat has dried. 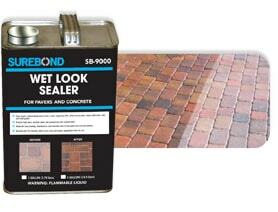 Seals and enhances the beauty of new and old pavers, concrete and other masonry surfaces. This product gives you the "Wet Look". Pavers must be cleaned first and allowed to thoroughly dry before sealing. Can be used for both residential and commercial applications. 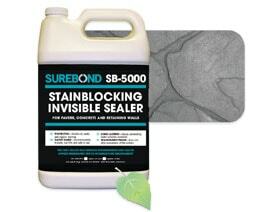 SB6000 is designed for a two- coat application. Apply with a sprayer and back-roll to assure even coverage. Second coat should be applied as soon as the first coat has dried. Uses include concrete pavers, concrete and retaining walls. Can also be used on manufactured and natural stone and tile. 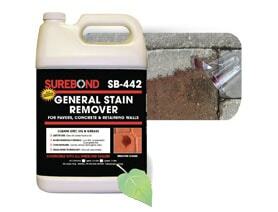 Dissolves chemical deposits, removes hard water stains, efflorescence and rust. Does not include muriatic acid. Clean Rinse Technology allows residue to be quickly removed. Use at full strength. Uses include concrete pavers, concrete and retaining walls. Can also be used on manufactured and natural stone and tile. General purpose cleaner that removes motor oil, food and beverage stains. Clean Rinse Technology allows residue to be quickly removed. Follow instruction on container for proper application. Used on Retaining Wall caps, treads and pavers. 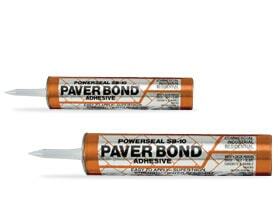 SB10 is a quick curing, high strength, construction adhesive. Water resistant and freeze thaw stable. Adheres to wet and frozen surfaces. Available in 10 oz and 28 oz tubes. Surface must be free of dirt, dust and oil to ensure proper bonding.